Toward the end of March, I visited Dr. Daniel Wolfson, an emergency room physician at the University of Vermont Medical Center in Burlington. The hospital was planning a significant shift in how ER physicians respond to patients addicted to opioids. It was the second official day of spring, but Vermont was still covered in a blanket of snow. Some winters are just relentless. The sprawling medical complex is the state’s only tertiary care facility, which means it’s the only hospital capable of providing complex and advanced medical procedures and treatments, and its service area extends across Lake Champlain to the Adirondacks region of New York. 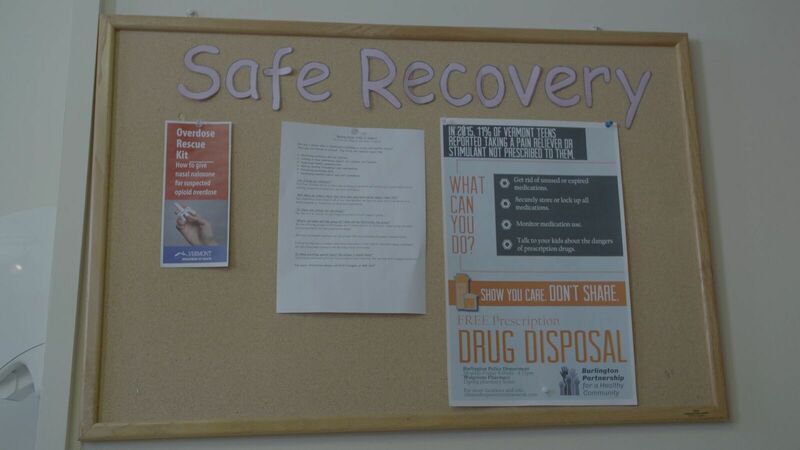 The hospital also conducts medical research; in this instance to advance understanding about whether emergency room care can function as a potentially life-saving bridge to ongoing addiction treatment. In the time it takes to read this article, someone in the United States will die from an opioid overdose. The deaths happen almost like clockwork—six people an hour on average—and would be exponentially more numerous if not for Narcan. By blocking opiate receptors in the brain, reversing the effects of an overdose, Narcan can revive a person on the verge of death. In Burlington, all police officers and EMS personnel carry Narcan; it’s widely distributed at the local syringe exchange—more than 18,000 doses since December 2013 and counting; it’s available for purchase in pharmacies and is of course used in emergency room care. But Narcan doesn’t always work, especially if someone has taken fentanyl, a synthetic opioid that can be 50 times more potent than heroin and is often hidden in other street drugs. The influx of fentanyl has raised the stakes in an already catastrophic epidemic. The other problem with Narcan is that it triggers severe withdrawal. The discomfort is so intense people may use again at the first opportunity, and it’s not unheard of to overdose and be revived multiple times in the course of a single day—if you’re lucky. A much less widely available drug called buprenorphine breaks that cycle by repressing the physical cravings that are the hallmark of addiction and when taken regularly can help people gain control over their lives. Beginning this summer, Dr. Wolfson and his colleagues in the ER will administer a dose of buprenorphine as a routine part of treating someone who has overdosed or presents other signs of addiction, unless there’s a compelling medical reason not to or the patient refuses. Equally important, people will leave the hospital with a prescription for a 72-hour supply of buprenorphine to further stave off cravings and are guaranteed an appointment with someone at the University-run drug treatment program within that 72-hour window. 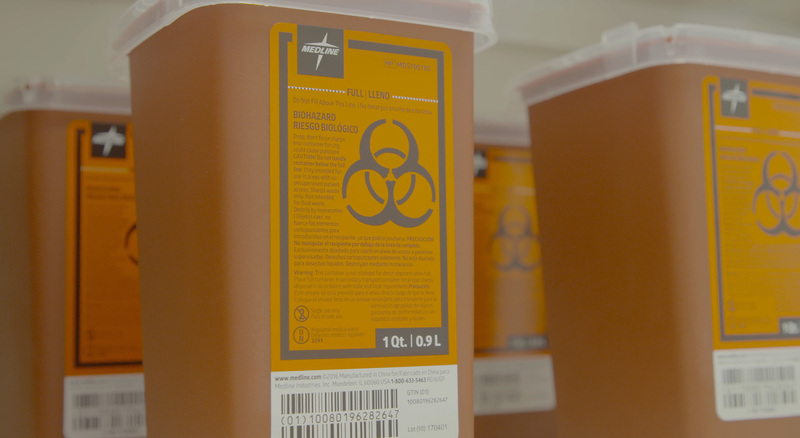 Researchers will compare outcomes for people treated under the new protocol with those who were seen in the ER before the change—building on a 2015 study by doctors at Yale New Haven hospital. It’s hard to imagine a shift that better embodies a sound public health response to the opioid epidemic, and yet it’s the result—one among many—of a process initiated by Burlington’s mayor and chief of police, neither of whom have a background in health. 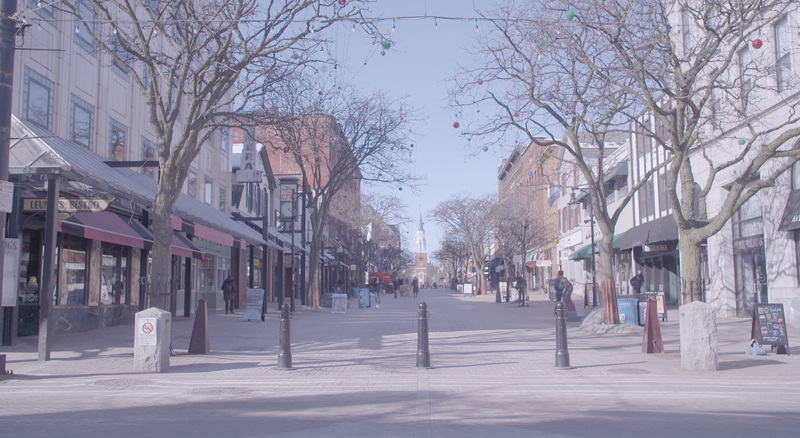 What’s happening in Burlington suggests how a small city can begin to confront a monster epidemic and, in the process, stretch ideas about the role of a small-city police department. Just a couple of years ago, Burlington was making very little progress against the growing opioid crisis. As one key measure of what the city and surrounding area were up against, roughly 600 people were on a waiting list for addiction treatment. People had to call-in monthly just to stay on the list, and those with the wherewithal to persevere might wait up to two years even for outpatient treatment. 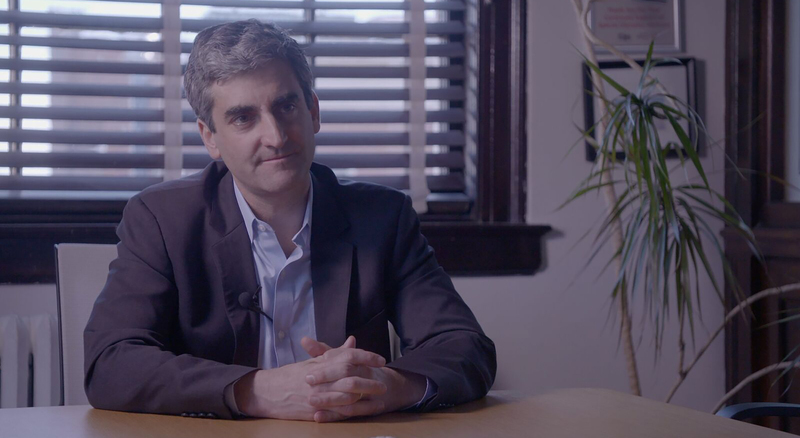 The long waitlist and situation overall crystallized as a key concern for Miro Weinberger as he began his second term as Mayor of Burlington in the spring of 2015. “I’m actually ashamed it took me so long to get to that point,” he said recently. Weinberger vividly recalls former-Governor Pete Shumlin focusing the entirety of his January 2014 State of the State Address on the opioid crisis, which he describes as “a remarkable act of political leadership.” “In a way, I guess I thought I could just sit back and the governor would take care of things.” The mayor has since come to the conclusion that cities themselves have to lead the way, working in concert with state government. Around the same time, Weinberger was also looking for a new chief of police, someone progressive. Among the applications, Brandon del Pozo’s stood out. It wasn’t only his accomplishments over nearly 20 years in the NYPD; it was also clear that del Pozo is a big thinker who draws ideas and inspiration from a wide array of sources. The combination seemed to be just what Burlington needed. 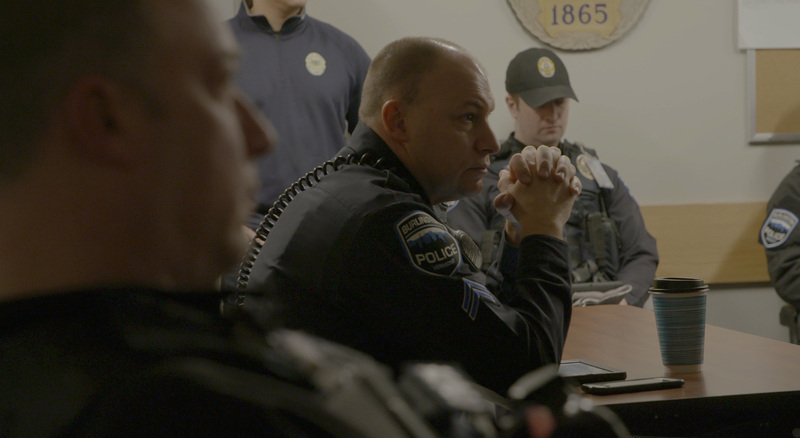 What’s happening in Burlington suggests how a small city can begin to confront a monster epidemic and, in the process, stretch ideas about the role of a small-city police department. “This is a crisis that has real urgency to it, where people are dying on a regular basis. The part of city government that does urgency best is the police department. … I’ve never really doubted for a moment, since that decision, that the police department was the right place to locate this effort,” Weinberger said. 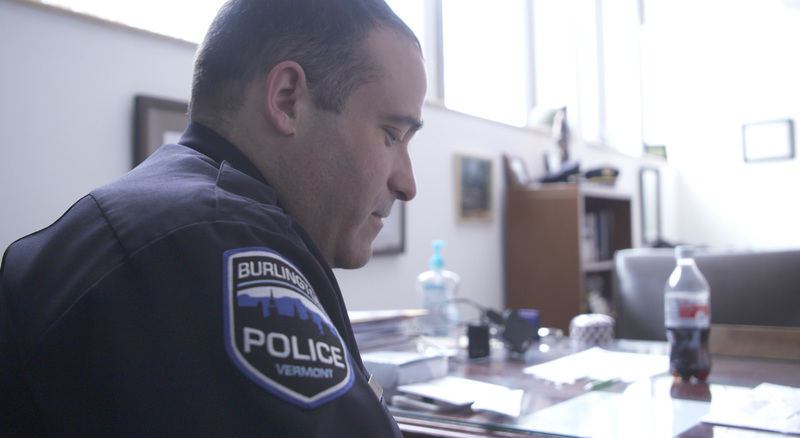 With around 42,000 residents, all of Burlington is roughly the size of the NYPD. To begin to tackle the opioid crisis, del Pozo was determined to apply big city tools and strategies in a small city context, and in a way that truly fits. In particular, del Pozo wanted to adapt and use CompStat, the metrics-driven approach to policing the NYPD pioneered. Although grounded in statistics, “timely and accurate intelligence and information” is just the first of CompStat’s four components. The other three are: “effective tactics,” “rapid deployment of resources,” and “relentless follow-up and assessment.” In other words, CompStat is a management process, a goal-oriented way of allocating resources and then holding people accountable for outcomes. To help drive that process, del Pozo and the Mayor created a new position within the police department, Opioid Policy Coordinator, and hired Jackie Corbally, a veteran social worker and former senior administrator at the state department of health to fill the post. It was a bold move for a municipality the size of Burlington but, as Weinberger likes to point out, Burlington was the first American city to rely exclusively on renewable energy, so embracing the cutting edge is part of the culture. The Chief also brought on a data analyst and would have hired an epidemiologist as well had funding been available. He now has one: When the original analyst left to take a job elsewhere, del Pozo hired a young woman with a Masters in Public Health to replace him. The variant of CompStat that the Mayor and del Pozo launched in November 2016 is called CommunityStat, and it involves a diverse array of stakeholders. A senior administrator from the Vermont Agency of Human Services co-chairs the monthly CommunityStat meetings along with Mayor Weinberger. The Commissioner of the Vermont Department of Health is often at the table, perhaps seated next to one of the grassroots advocates who regularly attends. The county state's attorney also participates, and there’s often someone from the defense bar, just to name a few people involved. The meetings focus on systemic failures and solutions but draw lessons from people directly impacted by addiction. Corbally often presents a detailed case history while a picture of the person fills the large screen at the front of the room. Others speak for themselves or for lost loved ones. At one meeting, a woman talked about how her son had became addicted to prescription painkillers following a sports injury, turned to heroin, and died of an overdose at age 19. In the ER we see people in a vacuum. They’re critically ill. We do what we can do to save them in that moment, but we don’t know anything about their lives outside that moment. … I remember hearing about one person who was revived and then went out the next day and overdosed again. And I got to thinking, how often does this happen to the people we see in the emergency room? We rescue someone and then what? The upcoming shift in emergency room protocol can be traced back to a particular CommunityStat meeting. The discussion centered on what emergency room physicians could do to steer people toward treatment and one longtime advocate, Tom Dalton, pressed the group further: Why just refer people to treatment, when you could begin treatment in the emergency room by giving them buprenorphine? Heads were nodding, as Dalton recalls, and the Yale study helped to convince senior hospital administrators the idea wasn’t crazy. That the NYPD pioneered CompStat is not surprising. The model is ideally suited to a police agency with a clear internal chain of command. Applying it to a communitywide effort involving people who are not accountable to a single official requires a deft touch. Mayor Weinberger has succeeded in bringing to the table individuals with decision-making authority in their own realms and has intervened at key moments to keep the group from splintering. The process itself, according to several participants, creates a kind of “positive peer pressure.” It was that dynamic that brought the long waitlist for treatment down to zero as of September 2017, less than a year after the initial CommunityStat meeting. Vermont uses what’s known as a hub and spoke system for providing medication-assisted treatment. The big clinics where people line up daily to receive a dose of methadone or buprenorphine are the hubs, and individual physicians throughout the community who provide ongoing care are the spokes. The problem Burlington had was that the nearby hub was overwhelmed and there weren’t enough spokes. The situation had persisted for so long even some treatment providers had come to accept the waitlist as an unfortunate reality. At the time, local criminal justice officials were trying to shift their own response to drug abuse from arrest and prosecution to treatment. They had created a pre-arraignment diversion program for people arrested for minor drug possession and a drug court for those facing more serious charges, but without access to treatment on demand those initiatives were hamstrung. Mayor Weinberger recalls meetings in his office in which the state's attorney at times was literally yelling because he was so frustrated. It took stakeholders confronting the data together in CommunityStat meetings to begin to remedy the problem. A second hub was opened and the University Medical Center took the lead in training many more physicians how to effectively prescribe buprenorphine or other medications and monitor people in treatment. The growth in the number of spokes was especially significant, according Richard Rawson, a researcher who has studied Vermont’s system, because individuals treated by a personal physician have a more positive view of themselves and more optimistic outlook compared to those who receive treatment at big clinics, and their overall health is more likely to improve. On the heels of CommunityStat, Jackie Corbally had the idea to create a smaller entity to bring together the dozen-plus law enforcement agencies throughout the county. Dubbed SubStat, it has the express goal of saving lives. In meetings that occur every other week, these law enforcement officials share information about residents who appear to be at great risk of overdosing and dying—a rolling list of about two-dozen people. Is there resistance to what we’re doing? Yes, and it’s from my own field. Some people say to me, ‘Jackie you can’t do that.’ But I can and I will. I am going to talk about real individuals because I’m not in a clinical setting. More to the point, if I think talking about someone might help save her life, then yes, I’m going to put a name and a face out there. …We had such a long waitlist for so long, there are people out there who at this point have given up on treatment. We don’t know the true size of that population, but we are trying to reach them. In this regard, it’s really great to have a progressive chief who’s open to out-of-the-box thinking. It used to be that anyone arrested and charged with the sale of narcotics was barred from drug court. That blanket prohibition has been lifted and prosecutors now work with police detectives, and with input from the public defender’s office, to reach an individual determination in each case. Those decisions can be difficult to make; they require weighing the benefits of diversion with the risk that the person remains linked to dealers for any number of reasons. Views don’t always align, but public defender Sarah Reed agrees that police are much more likely to support drug court referrals than they were in the past. Having Jackie Corbally embedded in the department—her office is just steps from del Pozo’s—is crucial in this regard. “One of the things I’ve come to see about policing is that we do it better when we broaden our scope of partners. … We have lots of non-sworn, civilian employees who bring in expertise the cops just don’t have,” del Pozo explained. Corbally’s perspectives and insights are filtering through the department, and she links this frontline law enforcement agency with the treatment community. “This chief has really pushed officers to make a human connection,” Corbally said. And the reality today, she explained, is that they’re making connections with people who are caught in a cycle of overdosing again and again, which takes a toll on officers. “I thought that I knew what desperation was,” she said, reflecting on her 32 years in the field of social work. “What I quickly learned is I have not seen desperation. Desperation is what I’m [dealing with] now when death is one heartbeat away.” The experience has left her with “profound respect” for police officers and EMS personnel out there saving lives or trying to. I hadn’t seen him for a while, and then I got called to a young male unresponsive in a bathroom at the deli down here. I arrive on scene right after his girlfriend had given him Narcan. He was blue-gray to the face, wasn’t breathing. I immediately knew who he was. Looked awful. I don’t know if I’ll ever not be able to remember what it looks like for a person to be that color. Another dose was deployed of Narcan, did sternum rubs, and he started having really shallow breathing at that point. What Officer Moyer has experienced has changed her approach to law enforcement. I don’t have to arrest somebody to make an impact on another person’s life. … I feel like I make more of an impact just getting out and talking to somebody, and just being there to listen, to validate a person’s concerns or to validate their experiences. Officer Moyer gets it and so do many others—including people outside the department. “Under Brandon’s leadership, officers have changed how they respond to users in the community, and changed how they think about addiction. Basically, the resistance to treatment, and medication-assisted treatment in particular, is breaking down, Dr. John Brooklyn said. When del Pozo couldn’t afford to bring an epidemiologist on staff, he sought them out at Johns Hopkins University in Baltimore and in his own backyard at the University of Vermont. 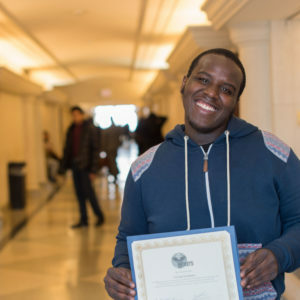 A natural student, del Pozo immersed himself in the science of opiate addiction and treatment and emerged convinced that widespread, easy access to medication—buprenorphine in particular—is the population-level intervention required to save lives. On this subject he is nothing short of passionate. In the 80s, people resisted the free distribution of condoms. They said it wouldn’t work, they said it would promote immoral behavior. But the advocates won. I couldn’t walk through the west village when I was in high school without slipping on condoms. It was a widespread, life-saving intervention, and that’s what we need. … Folks worry you’re just supplanting one drug for another drug, but you know what? The first drug, heroin, fentanyl, or some other opiate kills you. You may then become dependant on buprenorphine, but it’s not killing you. It’s enabling you to go to work. It’s enabling you to have a family. It’s enabling you to stay out of jail, and not commit crimes, and not put a needle in your arm. I think the most important thing that cops and government officials have to do is to recognize when another field, or something foreign to us, has an answer. Public health has the answer, it’s buprenorphine and the other medications like it. Thanks in part to relentless lobbying by Weinberger and del Pozo, and support from several key lawmakers, including Representative Selene Colburn who has attended CommunityStat meetings, Vermont is on the verge of a population-level intervention for people under the custody of the department of corrections. Vermont operates what’s known as a unified system, so when someone in Burlington is arrested, they’re held in a state-run facility not a local jail, and what happens to them in that facility matters a great deal to the mayor and police chief. In early May, the state legislature passed a law guaranteeing that individuals who are already taking bupenorphine or methodone when they are arrested and detained will be able to continue it for as long as necessary (DOC used to terminate medication after 120 days) and making these medications accessible to the even larger population of detainees and sentenced prisoners who would like to begin treatment in custody. The changes take effect July 1. The Journal of the American Medical Association recently featured an article on the benefits of providing medication-assisted treatment to inmates in Rhode Island, also a unified system. Providing the three most effective medications—buprenorphine, methadone, and naltrexone (Narcan)—in custody reduced fatal overdoses among recently released prisoners in Rhode Island by more than 60 percent. This is significant because people are at elevated risk of relapse, overdose and death in the initial months after leaving a correctional facility. In addition to saving lives among this particularly marginalized population, the change in Vermont law signals increasing alignment between city and state officials, which is crucial to advancing the larger agenda del Pozo, Weinberger, and many people in Burlington share. When I was there in March, del Pozo was polishing an op-ed provisionally titled “Buprenorphine Injections Now.” Up until recently, buprenorphine was only available as a pill or strip taken daily, but the FDA has now approved an extended-release form of the drug administered as a monthly injection. “This drug grabs your soul like no other,” Jackie Corbally said, explaining that easy access to buprenorphine makes it possible for people to take a step away from it. Tom Dalton refers to this phenomenon as “Oops, I’m in treatment.” Buprenorphine gives people enough mental clarity and stability to begin to address the issues that underlie their addiction, whether it’s chronic pain, PTSD or something else. Diabetes treatment provides an apt analogy: A shot of insulin triggers a physical correction and you build on that with diet, exercise, and a positive attitude. “We now know that 70 or 80 percent of people that get medically-assisted treatment can see their lives really turn around and improve,” Mayor Weinberger said. That knowledge is empowering but has also left him “haunted” by the loss of life that will result if the city doesn’t move faster to expand access to buprenorphine and other medications. Winning with Buprenorphine will require money from the state and the federal government, and those funds won’t be forthcoming in sufficient amounts until the culture shift underway in Burlington occurs more widely—when Americans and our political leaders overwhelmingly view addiction as chronic disease, as opposed to an individual moral failing or inevitable outgrowth of poverty. While the number of prescriptions for medications that treat opioid addiction is on the rise nationally, they’re still only reaching a fraction of the people in need. Extrapolating from federal government estimates, for every 15 people with an opioid addiction, three are in treatment and only one of them is receiving medication-assisted treatment. If the Mayor is haunted by not doing more and faster, del Pozo is haunted by a specter he sees lurking just around the corner. Last year there was a significant uptick in the use of cocaine and crack-cocaine and associated deaths—an addiction for which there is no medical remedy akin to buprenorphine. He believes dealing effectively with the opioid crisis is essential to preventing a new scourge. Earlier this year, the New York Times asked 30 experts to “think big, but realistically” about solutions to the opioid epidemic. The article noted that public health professionals are typically skeptical of law enforcement. With good reason, the criminal justice system’s response to the crack epidemic was a disaster. But that was a generation ago, and police leaders have been vocal in emphasizing that “we can’t arrest our way out of the opioid epidemic”—a commitment that will be tested as this epidemic expands from largely white communities to communities of color. Keith Humphreys, a professor of psychiatry and behavioral sciences at Stanford, told the Times, “Too many people in the public health community see police as the enemy, when they should see them as valuable partners.” An important lesson from Burlington—one relevant to the scores of smaller but-by-no-means-tiny cities around the country—is that a local police department has the potential to be even more than a partner; it might be able to jumpstart and steer a communitywide effort to address the opioid epidemic—with an emphasis on communitywide. Such smaller-city police agencies have enough resources to make meaningful institutional changes—like building a public health unit within the department and driving a process akin to CommunityStat—and yet they are lean enough to move swiftly if committed. “If you’re much bigger, it’s a real morass to institute change,” del Pozo has said. Provisional data published by the Centers for Disease Control in March suggests that the annual number of drug overdose fatalities nationwide continued to rise in 2017. In Vermont, however, according to preliminary data from the state department of health, the number of opioid-related fatalities basically held steady. And only one death over the past two years was in any way linked with use of buprenorphine. Holding steady is not especially good news when it comes to people dying in ways that could be prevented, but it might signal a turning point. In “Great Expectations” Charles Dickens beautifully captures the fickle quality of early spring. There are those days in March, he wrote, “when the sun shines hot and the wind blows cold: when it is summer in the light, and winter in the shade.” Change of any kind often unfolds similarly, a little of what’s passing remains as something new emerges. It will only become clear in a future season whether the Burlington I visited during a freezing week in March was on the threshold of beating the opioid epidemic, but it seemed that way.